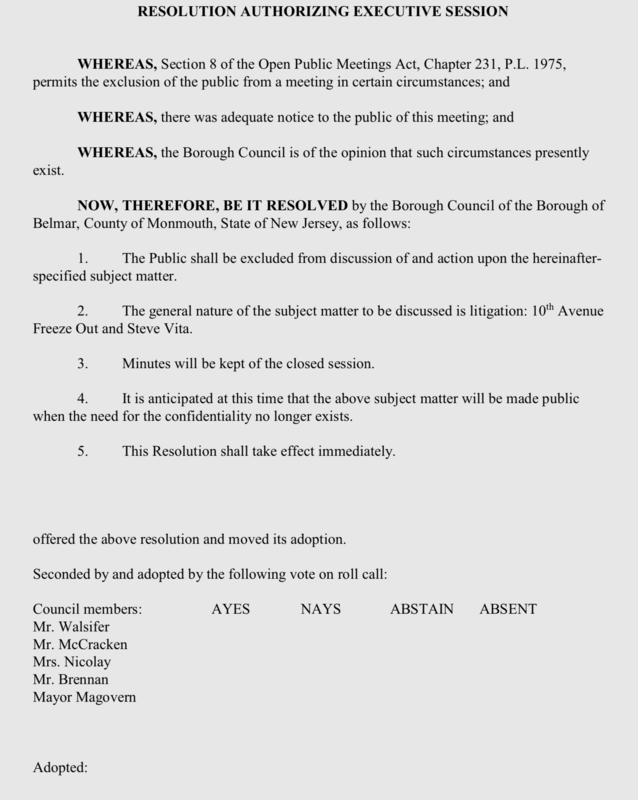 I see that Steve Vita, who owned the Barclay, still has litigation pending against the Borough. This was written by admin. Posted on Sunday, December 2, 2018, at 9:07 am. Filed under Uncategorized. Bookmark the permalink. Follow comments here with the RSS feed. Post a comment or leave a trackback. Looks like they want to clean-up some of their legal messes before the new council majority can choose to expose the details of each lawsuit and settlement. Did they set this guy up? Guess no one proof reads in Borough Hall. Levis is still on the Council Roster of its a jab at McCracken? 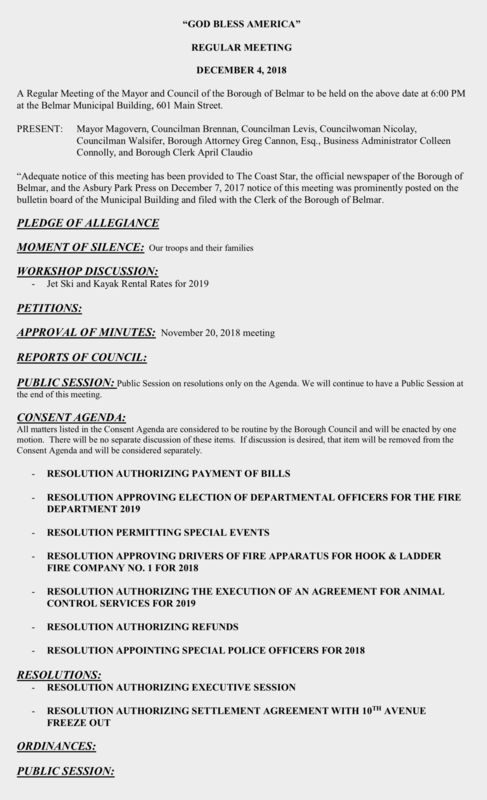 Adequate notice was given on 12/7 in the papers of record for a meeting on 12/4? Who has the time machine? And Levis as noted attended but as signatories McCracken is voting? Body doubles? Is this the BA’s parting shot? Hard to keep track. What’s the Barclay/Vita suit about? Steve Vita is a crook. Every business he touches he ruins and cries bankruptcy. What ever happened to the Mattese claim? Mayor Matt Doherty Welcomes you to the Belmar Alerts System. I mentioned it in May to an employee when paying my water bill. I guess no one knows how to change it!